TORONTO (CNS) — In a decision that confirms its right to proactively reach out to victims of sexual abuse by priests, the Catholic Diocese of Bathurst, New Brunswick, has been awarded $3.4 million in a dispute with its insurance company. Following the Oct. 18 decision by the New Brunswick Court of Appeal, the insurer, Aviva Canada, said it would take time to consider appealing to the Supreme Court of Canada. It has 60 days from the date of the decision. The dispute centers around a case first heard in 2016 in which payments were made to more than 90 victims of predator priests covering a period of decades beginning in the 1950s. 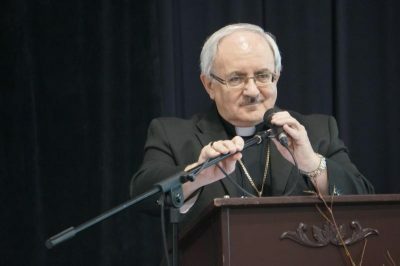 As the scope of abuse over the history of the diocese became apparent to Archbishop Valery Vienneau of Moncton, then the bishop of Bathurst, he hired retired Supreme Court judge Michel Bastarache to lead a conciliation process in which victims would be encouraged to tell their stories to Bastarache and the judge would independently investigate and decide on a reasonable offer of compensation. The diocese would pay for the process, would provide Bastarache with access to its personnel files and archives and the bishop would offer an apology on behalf of Bathurst Catholics. The process largely avoided lawyers and headed off the drawn out and costly course of a class-action suit. Victims were free to turn down the offer and pursue their cases in court, but most chose the nonconfrontational process with Bastarache. The diocese eventually paid $4.29 million (Canadian) to survivors. Aviva claimed it was not bound by the insurance agreement it had with the diocese to pay any share of the compensation. While Aviva supports the diocese seeking reconciliation with victims, the company does not think it should pay for compensation decided by a process that advertised for and invited as many victims as possible to come forward. Justice Marc Richard has a different view. Nobody is denying that attempts were made to cover up priestly abuse in the past, Father Wesley Wade, Bathurst vicar general, told The Catholic Register, a weekly based in Toronto. The conciliation process was an attempt to own up to victims and put the history of secrecy and cover-ups firmly in the past, he said. The Bathurst conciliation process has since been taken up by the Archdiocese of Moncton, where Bishop Vienneau became archbishop in 2012. After taking on the first few cases, Aviva soon abandoned the diocese, said Father Wade. “We did everything we could to have them join with us in these cases. They never did,” he said. By avoiding a class-action case, the diocese likely dodged bankruptcy, Father Wade said. “The diocese’s additional purpose of seeking forgiveness and reconciliation does not render the conciliation process unreasonable,” said Richard. The French-speaking Diocese of Bathurst serves a population of just over 94,000 Catholics in 15 parishes.